Ontem, o RP da Tek Recon enviou-me esta fotografia e disse que era a nova Tek Recon. Bem, e como podemos ver, é altamente. Juntamente enviou-me o Press Release que diz algumas características desde que tem capacidade de 100 munições, 6 acessórios, e dispara até 100 pés (ft). Dowload aqui – TEK RECON Predator Release. 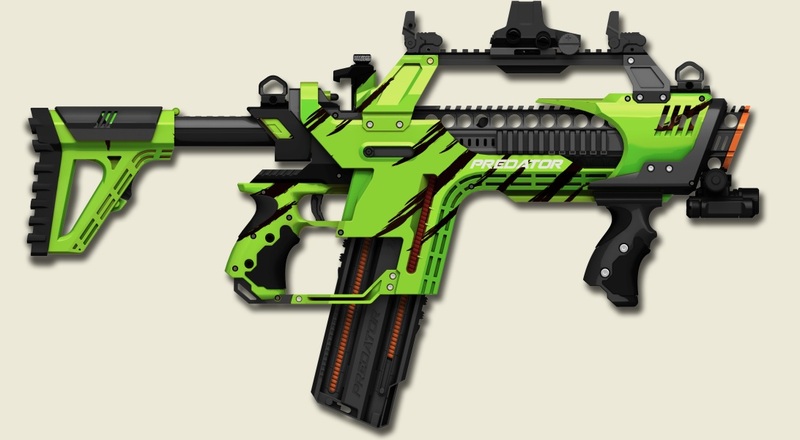 Today, the Tek Recon PR send me this picture and said this was the new Tek Recon Blaster. As we can see, it´s awesome. Along with this, he sent me the Press Release that says some features of the blaster like it´s capacity is 100 rounds, comes with 6 accessories and it shoots up to 100 ft.
Download here – TEK RECON Predator Release. This entry was tagged 2014, Blaster, ExtremeNerf, new, Predator, Tek Recon. Bookmark the permalink. Nova Mochila da Nerf? / New Nerf Backpack?